Q: When is the best time to travel Vietnam? 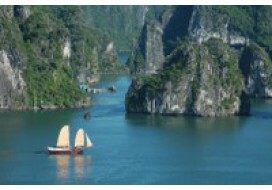 A: Vietnam climate and temperature are varied and different between regions. So there is no best time to travel Vietnam or any time is the best time to travel to Vietnam. You could travel Vietnam all year round. At any time of the year, climate is good in some regions while not so good in some other regions. You can always select a suitable tour. 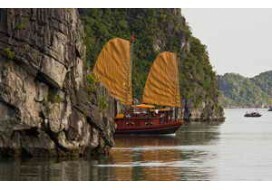 A: You always can find good hotels in big cities and famous tourist spots in Vietnam. 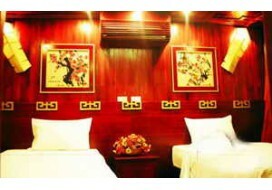 Hanoi and Ho Chi Minh City offers the best selection of hotels. However, it is observed the fast growth of good hotels and resorts in other tourist spots in the recent years. Q: Who is my guide? A: We have a strong and multilingual guide team coming from all regions of the country. They are chosen for their professionalism, rich knowledge, commitment, personal ties with the country and region and ability to inspire and communicate with you. They will be your dedicated friends during and after your trip. Many of our customers still exchange email with them long after their trip. Q: What about our meals and transportation? A: We try our best to provide you a good selection on meals as well as safe and comfortable means of transportation. Q: Are there any hidden cost you do not mention? What about tipping? A: No, there are no other costs. Our price covers everything except personal expenses. Generally, tipping is not compulsory. If you are satisfied with your guides, drivers, a small gratuity is an appropriate way in which to show appreciation to them. Q: Is it safe to travel Vietnam? A: Many people may think Vietnam is unsafe to travel. But in fact is quite different, generally Vietnam is safe. The UNESCO recognized " Vietnam is the destination for the new millennium" & " Hanoi - the city of Peace " However, you should exercise caution and use common sense to avoid incidences of personal misfortune. But don't worry, our guides will advise you what should be done and shouldn't. A: It is advised that travelers should have some form of medical insurance before arriving in Vietnam. Although there are several international medical clinics in Hanoi and Ho Chi Minh City, generally the country still lacks adequate medical care for serious illnesses and injuries, especially in other areas. Therefore, we advise that travelers have sufficient cover for emergency medical care as a precautionary measure. Q:I'm traveling alone, is it possible to join any existing groups? 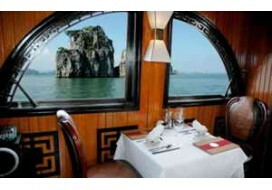 A: Yes, it is available, we organizes many daily tour from Hanoi and SaiGon. Therefore, you can join in our group any time you wish. But you have to following our group itinerary. Q: I'm filling out the Vietnam visa application and they ask for the name, address of my contact in Vietnam. What should I enter? A: It's not actually necessary to enter anything in this field. If you wish you may write the details of any hotel in Hanoi.